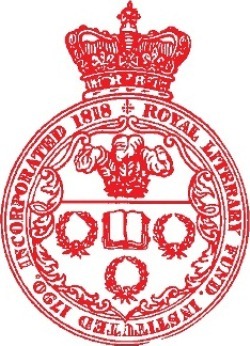 The Royal Literary Fund was founded in 1790 by the minister and philosopher David Williams, who sought to create a means of aiding and assisting authors in financial distress. The impetus arose from the tragedy of Floyer Sydenham, an Oxford fellow and translator of Plato, who died in debtor's prison. The RLF can rank among its beneficiaries such luminaries as Leigh Hunt, Joseph Conrad, Mervyn Peake, and James Joyce; as well as the widow of Robert Burns. Originally financed by subscribers, today the Royal Literary Fund counts amongst its income the estates of A.A. Milne, Rupert Brooke, G.K. Chesterson, and W. Somerset Maugham. The Fund was able to add "Royal" to its title in 1842, owing to the support of Prince Albert. An excellent short history of the RLF is available on their website as a .pdf. In 1946, Reed surmised that a writer might survive on £1,000 a year. He might have settled for W. Somerset Maugham's royalties, which amounted to £139,723 in 2011, or the profits from the Pooh Properties Trust, which took in £127,500. Or, perhaps, he could take comfort in the fact that Rupert Brooke himself made a mere £220.